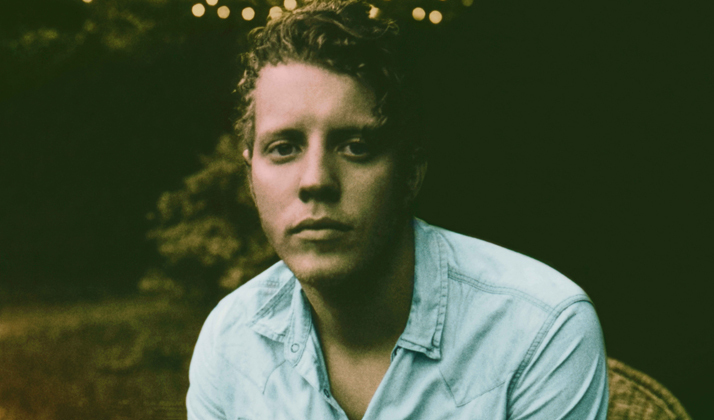 Out on the road in support of his new album, Delilah, singer-songwriter Anderson East has plenty of reasons to celebrate. The album came out earlier this year widespread acclaim on Low Country Sound/Elektra Records; it’s the first release on the new imprint run by producer Dave Cobb, a guy known for his work for alt-country stars such as Sturgill Simpson and Jason Isbell. Album opener “Only You” features husky vocals and a spirited horn arrangement, showcasing East’s soulful vocals. The album’s single, the “Satisfy Me,” recently debuted at No. 28 on the AAA Radio chart. East phoned us from a Boise tour stop. Talk about growing up in Athens, Alabama. I grew up in the church. My granddad was a preacher. My mom was a piano player. My dad was a gospel singer and that kind of thing. I grew up with that gospel tradition. There was never too much of a pop music sensibility, at least in our house. When I was 11 or 12 I saw a kid in the neighborhood whose older brother had a guitar. I just knew I needed one of those. The rebellious teenager kicked in that just wanted to make noise. That happened, that progressed and I got more and more interested in it later. I got a four-track tape recorder and that’s where all my interest went. I was recording myself all the time. It all progressed from there, being able to make a good sounding record and play an instrument and write songs and sing. It all stems from that, from hearing something played back through the speaker. You wrote your first song for a talent show. How did it go? That was a seventh grade talent show. We played it live and my buddy Will was the lead singer. We encored with “Freebird.” We thought that was a great idea. I honestly don’t remember if we won. We won in our own minds if we didn’t win actually. I don’t feel like we did. When did you move to the Music City? I moved to Tennessee when I was about 17. I moved to Nashville proper when I was 18. That was about ten years ago. You initially worked with singer-songwriter Holly Williams. What was that experience like? I opened her CD release show when she put out The Highway. I played with her for the next year-and-a-half or two years. It was a really great experience. It was my first time getting to go out on the road and play music. She was incredibly sweet and let me open for her on a bunch of tours. I would play guitar for her and sing harmony too. It was a lot of fun—developing great friendships and getting to play great music and getting to see things I wouldn’t have seen otherwise. It was a really wonderful experience. How’d you first meet Dave Cobb? I met Dave when I was playing a round at the Bluebird Café in Nashville. He was there to see our mutual friend, Kristen Rogers. She sang the background parts on the record. She was playing as well. I made it a little bit of a scene. I had one or two too many Coors Lights and I stopped the show so I could take a restroom break and that made a memorable impression on him. He introduced himself after the show and told me he was a producer. Pretty much everybody in Nashville is a producer so I didn’t take it too heavily. I asked him who he was working with. He spouted off the names of some people I had never heard of. When he said he was about to finish Jason Isbell’s record my ears perked up. I’ve been a fan of Jason’s for a long time. We took it from there. We geeked out about music and recording and the whole nine. We became friends through all of that. The album title refers to a character from the Old Testament. What made you think that would make a good title? I don’t think there’s a narrative that each song ties together with a nice bow. There’s some thematic things throughout. Behind it all, it’s a record of wanting or longing for somebody. It started off with the tune “Devil in Me,” which mentions Delilah. As I was playing it back, I thought all the songs tied into that story, not in a spiritual way but in a secular narrative. It seemed appropriate that a beautiful woman could bring down the strongest man in the world. Does that song, which is about drinking too much on a Saturday night, refer to a particular incident? I think every incident inspired that song. What made you want to cover the George Jackson song, “Find ‘Em, Fool ‘Em and Forget ‘Em”? We went down to FAME at Muscle Shoals. I wanted to dig through some stuff they had around that nobody had ever heard. They surprisingly said, “Yes. You can come and dig around.” We were sitting upstairs with Rodney Hall. He played that tune of George’s. His dad Rick Hall wrote that song. He played it as a joke. I thought it was amazing. It was so groovy. And the lyrics are so backward. You think he’s a real sleazebag at the top of it. When the second verse rolls around, you realize he had his heart broken and is trying to put up his defense mechanisms. I thought it was good storytelling. It’s such a juxtaposition between where you start and where you end up. We went back down and it’s the last song we recorded. Hopefully we did it some justice. It sure is a lot of fun to play. Did you write the horn arrangements? I definitely did not. We had our inputs on what we wanted. Jim Hoke wrote the horn arrangements. He’s done all kinds of records. He’s a sweet guy and really talented. I feel like with horn sections there are a few different schools. You have the Shoals-y Memphis thing and Detroit Motown arrangement styles. Jim knows how to do them both. He delivered the Southern aspect of arranging. Was it an expensive record to make? Actually no. I started out and once Dave and I got going, I was paying for it myself. I was playing guitar with Holly so whenever I got paid for that gig, I put it into trying to record a couple of songs here and there. All in all, it wasn’t that bad. Talk about the current tour. Do you have a horn section on the road with you? Yeah, they’re out with us right now. It feels really nice to have that support and that color come through. It’s been good. People come up to us after the show and tell us they’ve enjoyed the music and are connecting with it. You can spot people in the audience singing along. It’s a great feeling. Nobody told me it’s terrible so either they’re just being really polite or some people actually like it.